I'm streaming Blade Runner from Netflix right now. I've seen the movie in its entirety before, but I don't think I have ever actually sat down and watched the movie. I suppose I will finally know what exactly this film is about. Here is a line I found pretty funny at the time when Leon Kowalski, played by Brion James, was pummeling Rick Deckard, played by Harrison Ford: ... wake up. It's time to die! Moments later he was shot in the back. 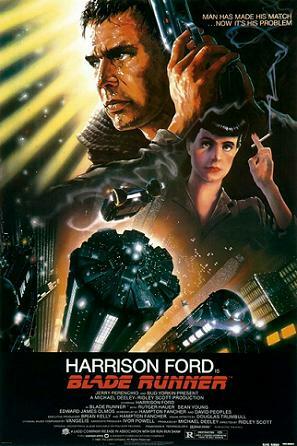 By the way, Blade Runner is considered a cult classic, and it is almost, if not, always rated 5 stars. I love 80's movies. I often prefer the special effects and animatronics to today's CGI environments.